Are you a good candidate for a used printer? Here is a quick test: You want printer X and it costs $200,000 new. Let’s say you purchase it used for $75,000 and have to spend $15,000 on repairs to get it to optimum performance. Did you lose $15,000 or did you save $110,000? How you view this scenario is a good indication as to whether or not you should consider buying used versus new. If you view the transaction as losing money, then read no further. Buying used is not for you. But if you realize that the long-term benefits to your business far outweigh the negatives, read on. There will always be potential risk when purchasing used – along with greater upside savings. In general, used equipment is 50%-80% less than buying the same machine new. The low cost of entry and lower overhead enables print shops to get into the market or expand their business through other growth opportunities including reserving cash to invest in other areas of your business. If you’re a new, young company or just entering or expanding into a new market, buying used can offset costs and help you reach your business goals without the huge financial outlay. Need to Move Old Equipment First? 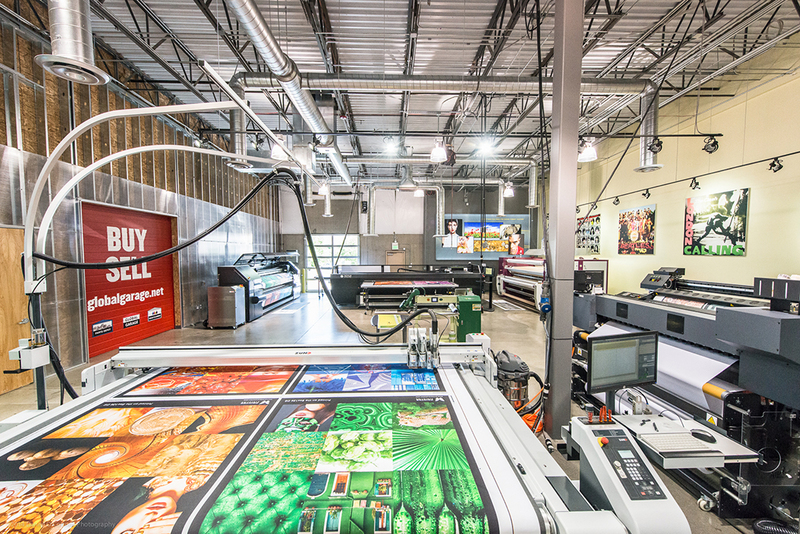 Many print shops want to upgrade to new equipment but can’t until they sell or trade their current equipment. This is one of the reasons Global Imaging created Global Garage, the country’s largest venue to buy and sell used printing and finishing equipment. Buying used can also reduce the cost of financing – particularly if you can find a one-stop-shop broker who can take care of all your needs, from equipment locating and financing to installation, training and support. Our partner Global Imaging Finance provides leases on new and used equipment. There’s one more great reason the buy used: the environment. Our industry, like others, is increasingly concerned with sustainability and environmental impact. A used, refurbished printer provides another way to recycle machinery and reduce waste. There are a lot of compelling reasons to buy used rather than (or in addition to) new equipment. If you’re the right kind of candidate who can navigate the challenges, there are significant long-term advantages to choosing this type of investment. Trade in old equipment, consolidate financing fees, enter or expand in new markets with a lower cost of entry, and do it all with a smaller environmental impact: In many cases, buying used can be the smartest choice.